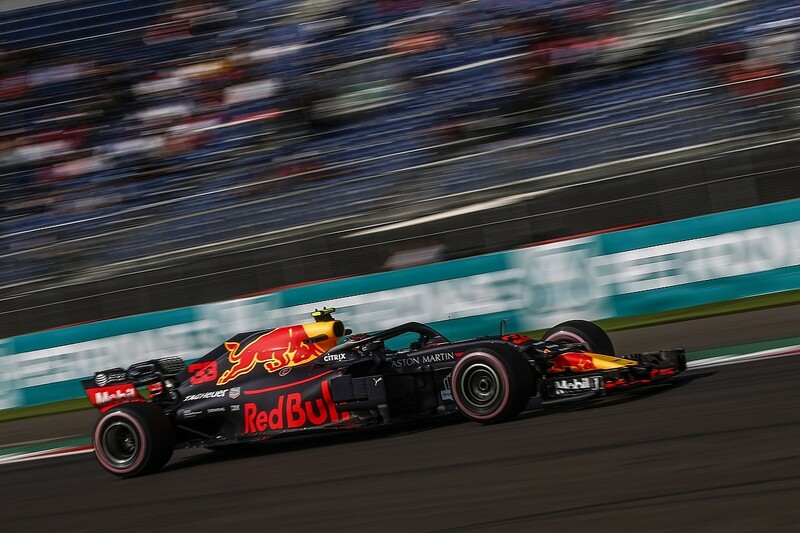 Red Bull fastest by over 1.2 seconds, Renault its nearest challenger with Carlos Sainz Jr third, Ferrari behind, both Mercedes drivers outside the top six and slower than a Toro Rosso, 0.214s covering positions three through 10 - not to mention pacesetter Max Verstappen grinding to a halt with 10 minutes to go after dominating on pace. Friday practice can be predictable, but it's a long time since F1 has produced an opening day of the weekend that left so many people scratching their heads and asking 'what was that all about?'. 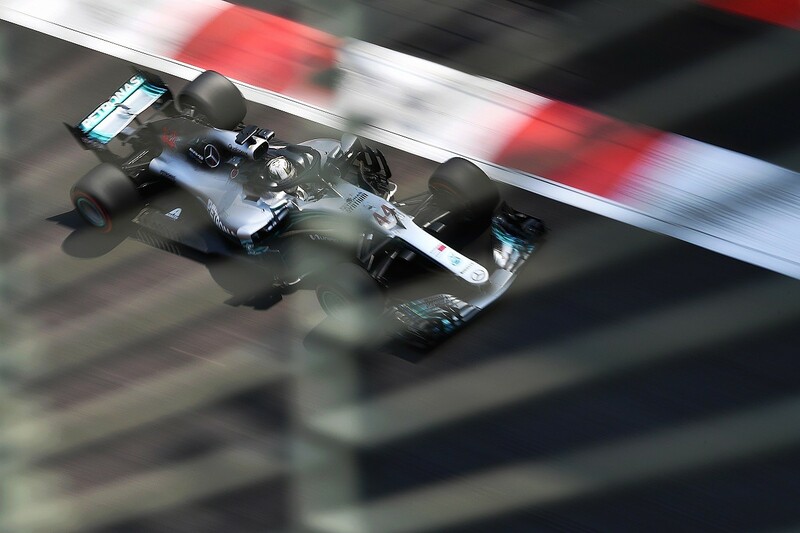 But as mad as Mexico Friday looked, with the timesheets seemingly overturning the order established over the 18 previous weekends, there are at least partial explanations for what happened. But first, let's quantify just how mixed up things were. The speed of the Red Bulls was emphatic, with Daniel Ricciardo only 0.153s further behind Verstappen but the rest nowhere. But while it looked remarkable from Renault, with both Sainz and Nico Hulkenberg in the top five, it's important not to be fooled by their positions. 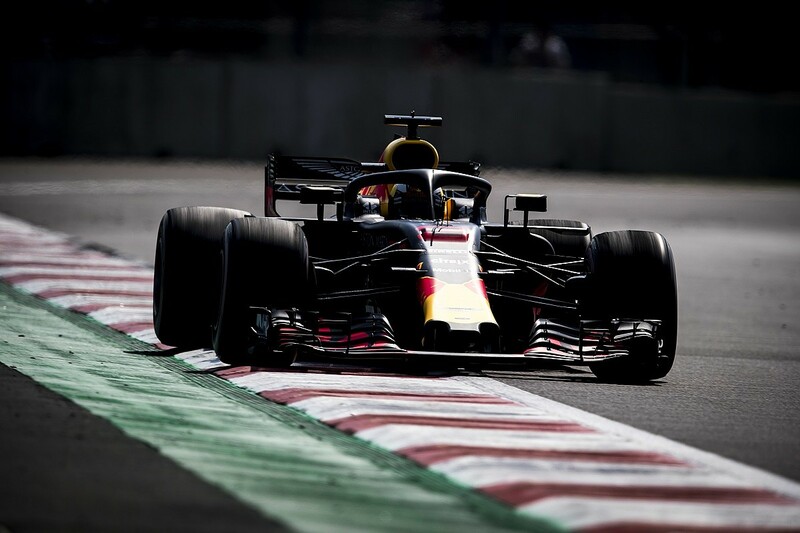 The gap between Red Bull and Renault in qualifying in last weekend's United States Grand Prix was 0.771% but actually more than doubled to 1.607% during free practice here. Given both share the same Renault engine package, that swing in favour of Red Bull can only be explained by its car being better suited, an advantage on tyre preparation and perhaps even the fact it uses a different fuel supplier to the works team. 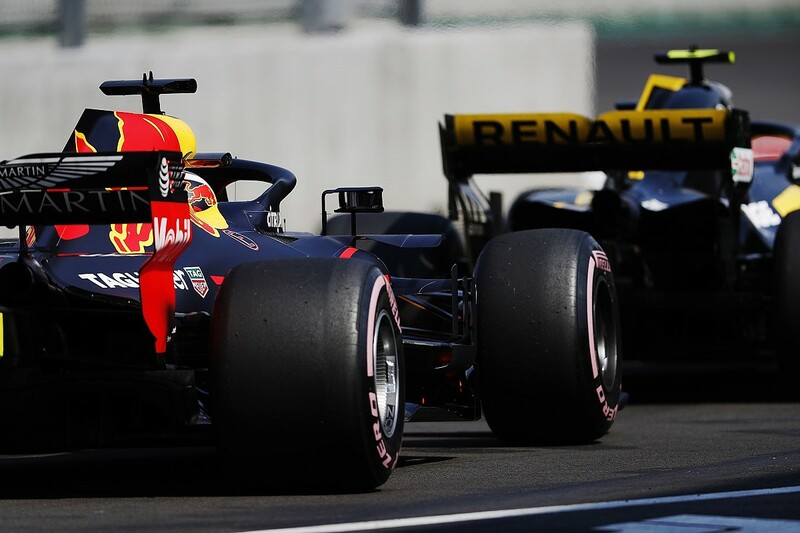 However, Renault is closer to the pace overall at 1.607% down - it hasn't been that competitive compared to the frontrunners since the fourth round of the season in Azerbaijan in April. Ferrari, meanwhile, has slipped back - the reasons for this we'll get into later - while Mercedes has also hit big trouble and has managed to slip behind Toro Rosso on pure pace. 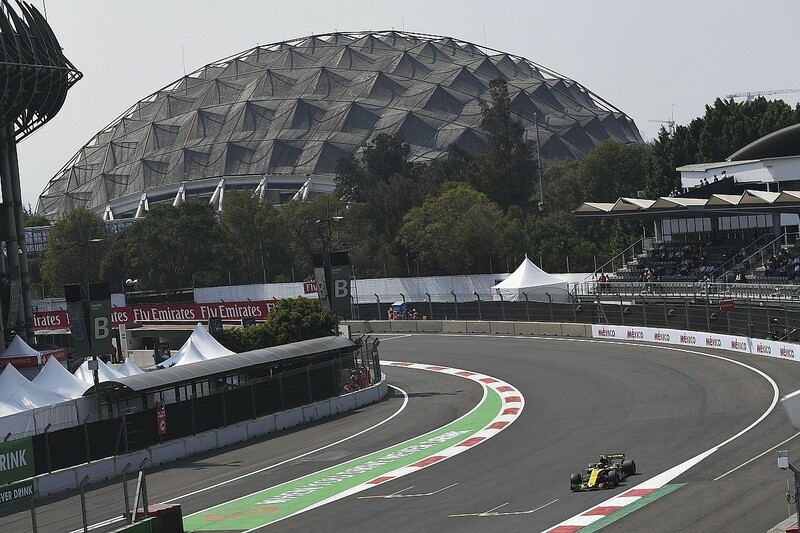 Mexico City's Autodromo Hermanos Rodriguez is at an altitude of 2225 metres, which means reduced air density by approximately 22%, which means less oxygen in the air, which means less engine power. The overall reduction in power will be proportional to the overall power output of the engine. Currently, in Q3 trim, the Renault engine is reckoned to be giving away a good 80bhp, but as its overall power is reduced by the same proportion as the rest, the gap to Ferrari and Mercedes power units is not quite as big here. It's important to note that the 160bhp offered by the MGU-K will not be affected by that, while the turbo can be used more aggressively to force more air into the engine to compensate. So even before the cars started, Red Bull and Renault (and McLaren for that matter) were always going to have a slight performance swing in their favour. At Mexico City, teams run with the maximum available downforce configuration. But it's not a high-downforce track, far from it, for the overall aerodynamic load is comparable to that of Monza thanks to the reduced air density. So, there's a big advantage to be had from having the most downforce. Red Bull still produces extremely good cars, and is very likely to be able to have more downforce in this trim than its rivals. That will also be worth a chunk of performance around the lap. "High altitude tends to even things out a bit," says Red Bull team principal Christian Horner. "The engines are struggling for air, the brakes, the cooling, everything is struggling for air mass through here. We're able to run the car in its optimum state [high downforce] and we've got a power unit that looks competitive relative to the others." Connected to this is cooling, as the reduced air density means less airflow through the various radiators in the car. This played a part in the struggles of Mercedes, which was battling overheating and had to go to a more conservative engine setting as a precautionary measure. This is the kicker. Mercedes, in particular, seemed all at sea on tyre use, particularly on the quickest hypersoft rubber. With track temperatures not far off 50C during FP2, that makes it very easy to overheat them. The working ranges of the Pirelli tyres rises as the compounds get harder, meaning the hypersofts have the lowest ideal temperature range. This is in the 85-105°C bracket, and given the track temperature peaked at 47C during FP2 teams will have all been struggling with overheating. The Red Bull has, by and large, been pretty good on how hard it works the tyres this year, so perhaps it's not a big surprise that Verstappen and Ricciardo were able to get more out of the hypersofts. But it's important also to note that on other compounds, Red Bull also appears to have an edge. Although the first runs in FP2 are difficult to assess given even more variation in fuel loads, Verstappen's time on the ultrasoft Pirellis - a 1m17.437s - was 1.342s faster than Hamilton's supersoft pace and 1.570s than Sebastian Vettel's. And key to that pace seems to be that the Red Bulls have got the tyres working well and aren't sliding around as much as the rest. Tyres, of course, leads into the question of the long runs. As usual, after performance runs most attempted runs on the hypersofts, which produced significant degradation. But again, Red Bull was comfortably top from Renault, by a margin of 1.3s, with Ferrari just behind. Mercedes, meanwhile, struggled and Hamilton lapped just under 2.2s slower than Verstappen based on a run of five laps with anomalies removed. While the hypersofts do confer a significant pace advantage, provided you can get them to work and do not overheat them, in race conditions they look shortlived. That said, the track grip level will evolve and things won't be so bad come the race, provided the weather has remained stable. Graining is the key problem. This is when fragments of tyre become rolled across the surface, which reduces grip and accelerates degradation significantly. As the track continues to rubber in, this should become less influential. It was certainly the case last year. There's also the question of the power difference of the engines, as it's possible that the Mercedes and Ferrari having more bite will work the tyres a little harder. That could be helping the Renault-powered cars, although it's fair to say the drivability of its engine isn't perfect. So this is likely to be a minor difference. More important is likely to be the balance of the car, with some teams struggling with graining at the front axle and some at the rear. Red Bull, by comparison, has looked well-balanced from the start of practice. On the other tyre compounds, which did not suffer from significant graining in the afternoon it's difficult to make a comparison but Ricciardo's 10-lap run on ultrasofts at an average of 1m22.918s suggests that tyre stands up significantly better. Hamilton, meanwhile, did a 14-lap on supersofts averaging 1m23.862s, with Vettel over 17 laps averaging 1m23.856s. Given the gap between the ultrasofts and the supersofts is 0.3s, this suggests Red Bull still has an advantage, but not by quite as much as FP2 suggested. The gap to Mercedes and Ferrari would be more like six-tenths. So what does all of this mean? First and foremost, don't get over-excited about Renault. While the team has done a good job and is ahead of its 'class B' rivals, provided Ferrari and Mercedes get their act together overnight, it's not going to be a podium finisher on merit - even though Sainz showed good pace on a long run on supersofts late in the session. "To be P3, to be honest, seems quite a bit of a surprise to all of us," said Sainz. "But I think it's more due to the Mercedes and Ferrari struggling a lot out there, [rather] than us being quicker than normal. "We are only one tenth ahead of the Toro Rosso, one tenth ahead of the Force India. But we are still 1.2 seconds behind Red Bull. So something due to the others more than to our proper pace." Secondly, there's every chance Red Bull will be able to carry this form into the rest of the weekend. 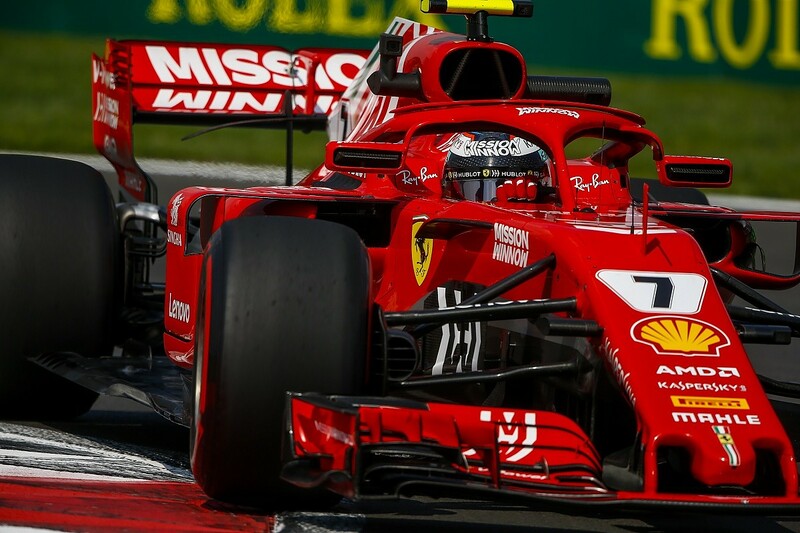 Ferrari and Mercedes look to be close on underlying pace and will close up, and on top of those gains is the question of how much more they can find when deploying their 'full-fat' qualifying engine modes on Saturday afternoon. But it's still encouraging for Red Bull. What's more, Verstappen won't have to take a grid penalty whatever happens despite grinding to a halt at the end of the session after all power cut out at Turn 1 - something Red Bull put down to a loss of hydraulics. Even if engine components need to be changed, he has ones available in his pool. After such a difficult day, the only way is up for Ferrari and Mercedes. Vettel pointed to tyres as among the areas where big gains could be made. "Everybody still has something to step up tomorrow," said Vettel. "We tried to go as fast as we can. The key will be the tyres. If you have 1, 2, 3 or 4km/h more in a straight line I don't think that will be detrimental. "But I think it will be much more important to get the tyres in the right window because then around here you can easily get two, three, four, five tenths. Quite a lot of lap time." But even if gains are made Red Bull still looks in a strong position, despite perhaps its advantage being exaggerated by the struggles of others. That means there's still work to do, for while the altitude and any advantages, or reduced disadvantages, it provides will remain, the track will evolve, the weather will be cooler and Ferrari and Mercedes will hit back. But it's a very good start. As Verstappen put it, this was "maybe one of the best Fridays".